About MyWhiteboards & OptiMA Inc.
MyWhiteboards.com has been one of the Internet's premier whiteboard merchants since opening in 2001. This site is one of a handful of niche visual communication websites owned and operated by OptiMA Inc. Our vision is to be the leading provider of unique quality dry erase products; with a focus on integrity, innovation, fair prices and on time deliveries. Thank you for putting your trust in us over the years, how may we help you today? You've got a lot of options when it comes to purchasing your dry erase products so we asked ourselves the same question; Why would I buy from MyWhiteboards.com if I were a potential customer? 1. Product Knowledge & Expertise - We are the Dry Erase Experts! The sales team at MyWhiteboards.com has an abundance of product knowledge and years of experience about every product that we sell. That includes product expertise on not only the products that we manufacturer ourselves but also the products that we represent on our site from vendors such as Marsh Industries, Best-Rite, United Visual, Magna Visual and Ghent. When you're in doubt our sales team can direct you, with absolute certainty to the product that is perfect for your application or needs. 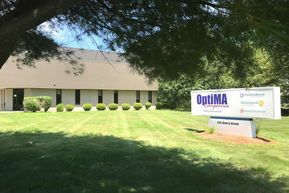 OptiMA Inc. opened its doors in July of 1987 - That makes us over 30 years old! MyWhiteboards.com was started in 2001. 2. Buy Direct from the Manufacturer - MyWhiteboards.com not only represents some of the country's most popular manufacturers, we also manufacture a number of our own products. Our factory located in Shrewsbury, Massachusetts employs hard working American citizens who are proud of the work that they do and it shows. We manufacturer quality dry erase products. Some of our brands include; Great White® Magnetic Whiteboards, Atlas® Marker Trays, MagTray® Magnetic Marker Trays, RiteOn®, Non-Magnetic Marker Boards and RitePlus®, Low Profile, Magnetic Whiteboards. 3. Made in the U.S.A.! We believe in the Buy American Initiative and invite you to do the same thing. Providing good employment and opportunity to our employees, friends and neighbors is important to us. We try to have the majority of the products shown on our web site to be Made in the U.S.A.
4. Woman Owned Small Business - OptiMA Inc. is a registered, Woman Owned, Small Business. We're also a family owned business that truly appreciates its employees and its customers. We're humbled to have you as a customer. 5. Custom Print Capabilities - MyWhiteboards.com offers you some of the best custom printed dry erase products available in all of the United States. Our printing capabilities can't be beat. We custom print on a number of different dry erase products and we have you through every step of the process. Our design team takes you through to the end of the project and helps you create something way beyond your expectations. Come see what the OptiPrint® method is all about. 6. Product Innovation MyWhiteboards.com has introduced more new products into the dry erase market than any other web site in the market. Some of our innovations over the years include portable dry erase music staff boards. Yup, we helped design that! How about Quick Ship? MyWhiteboards.com was one of the First to offer a Quick Ship program for popular dry erase products. Prior to this, every order used to take up to 6 - 8 weeks to ship during summer months when factories are typically at their busiest time of the year. To this day, you'll find most of our most popular products, including custom printed, are available for shipment quicker than most of the competition. OptiMA and MyWhiteboards.com continue to add innovative products such as large dry erase magnetic prints that let you convert any magnetic dry erase or chalkboard writing surface into a grid board, a music staff board, a scheduling board or a Lean Training board in a flash. When you're done, you roll up the magnetic sheet and go back to the plain whiteboard. Brilliant! We could continue to list more reasons but the most important reason of all is that we really appreciate you as a customer. We know that you can go anywhere but you've decided to place your trust in us. We pledge to not just meet your expectations, but to exceed them whenever we can. Thank you, so much for considering us.